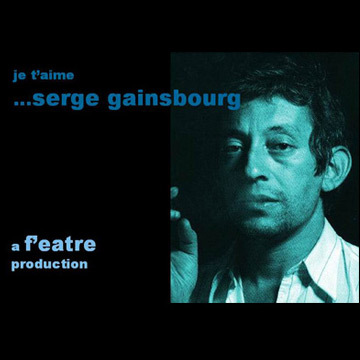 Je t'aime...Serge Gainsbourg, is a magical musical odyssey through the life and loves of Gainsbourg from Alcohol and Cigarettes to Bardot and Jane B to Poetry and Eurovision to Scandal and L'Amour. The show premiered at the Greenwich Picture House in March and is about to embark on a UK tour together with some summer Festival dates. Click here to email for booking enquiries and tour dates. "Thanks to a wonderful team of musicians: Nick Ramm (Fire Collective and Clown Revisited), MD, on keyboards and bass, Thierry Deneux (BAFTA winning sound track composer), last seen in my Darlene Mietrich show, on drums and the superbe Jonathan Bratoeff (Points of Perception) on guitar and bass. There will be live music, film footage, slides and photos, making up an evening where we can delve into the wonderful world of Gainsbourg". Written and Directed by Fiona Staniland.